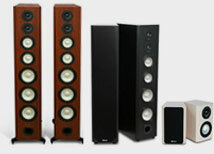 Choosing center speakers can seem more confusing than picking the front left-and-right speakers sometimes. Do you go with a big one to get more dialog, or smaller model to fit that little niche in the equipment rack? Center channels carry the weight of the dialog in movie and Dolby surround sound television broadcasts. Often people complain that their new flat-screen display is all but inaudible, a problem that is easily remedied by adding left-and-right channel front speakers and a matching center speaker. Let's face it - the tiny drivers that engineers are forced to use to fit speakers in those flat screens are simply too small to do a good job of conveying dialog in normal-sized rooms. Matching center, you say? Yes, matching - and we don't mean the color! This is one speaker where it is very important that the drivers (the woofers and tweeters) match across the front in terms of size and material. You see, in left-to-right pans in the action, the sound transfers back and forth between the center channel and the front channels. 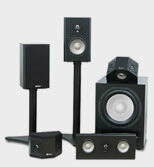 It can sound smooth and seamless with the right speakers . . . and harsh and noticable if the drivers are significantly different. 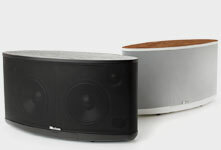 Does that mean you can't use a 5 1/2-inch woofer with a speaker that has 6 1/4-inch woofers? No - as long as they are from the same manufacturer, they likely have similar sound and that will come out during playback. Other than matching the drivers, the choices are largely based on your particular set up. Most dedicated center channels are in a horizontal configuration, which fits under most video displays. If an upright speaker is a better fit for your room, then get three identical speakers across the front for a truly seamless soundstage. Look at the output: in Axiom's case, if you were sitting 12 feet or less away from the display, we would suggest the VP100 will have enough output for your room. Sitting further away than 12 feet, or have tiered seating? 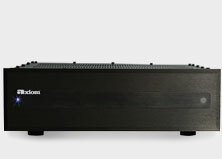 Then look at a bigger center like the VP150 or VP180 center channel in order to get enough SPL (sound pressure level) output to fill your room with clear, crisp dialog. 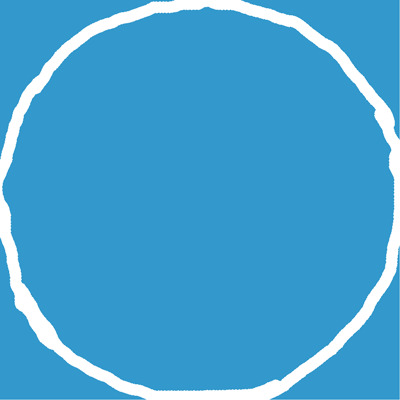 Where is the best place to put a center? Yup, you've got it - the name is a hint! The best place is as close as possible to the center of the display. If you have a perforated screen, you could even use a built in center speaker in order to place the speaker right behind the middle of the screen. For those of us who don't have a perforated screen, it suffices to place the speaker as close to the bottom of the screen as possible, or on top of the display if that brings the sound closer to ear level. If the center has an angled cabinet like Axiom's do, you can lay the speaker on the side that gives you the best direction of the sound toward your listening seat. Got a very large screen? Consider a center at the top and a center at the bottom to really anchor dialog in the middle of the display. 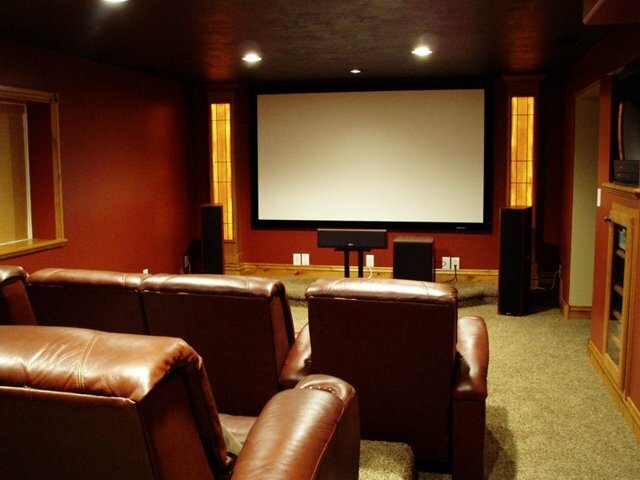 Getting the sound tweaked into perfection will really enhance your home theater experience, so once you've picked a center for your system, check out Alan Lofft's Fine Tuning Center Speaker Sound to maximize your home theater speaker system.